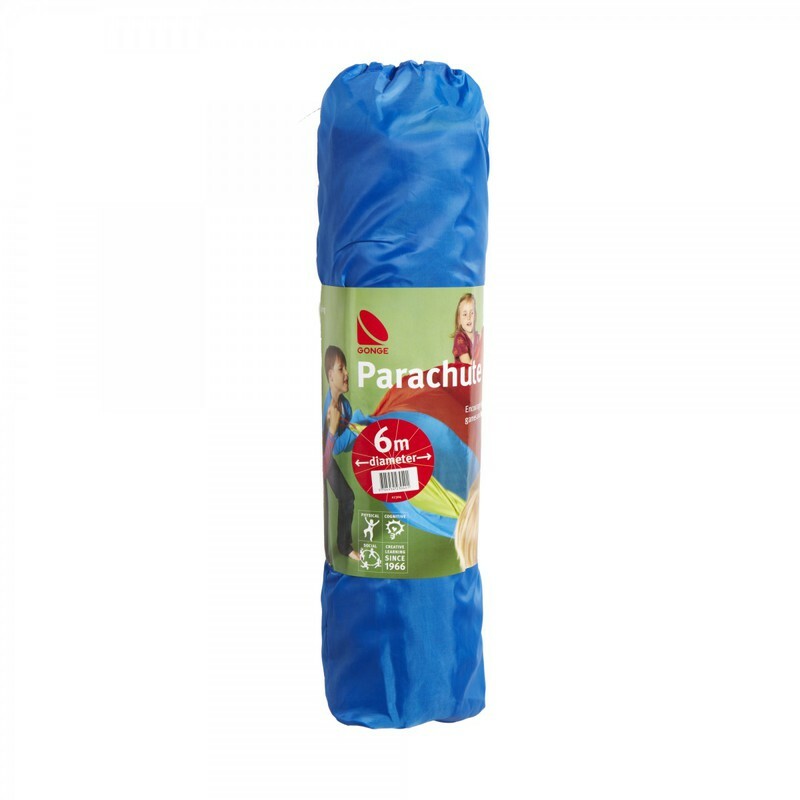 Playing with the parachute provides exercise for the whole body for everyone! A wonderful way of developing basic physical coordination. Inspires many types of activities for groups of children or grown-ups. Made of colorful, light-weight, fire-resistant polyester. 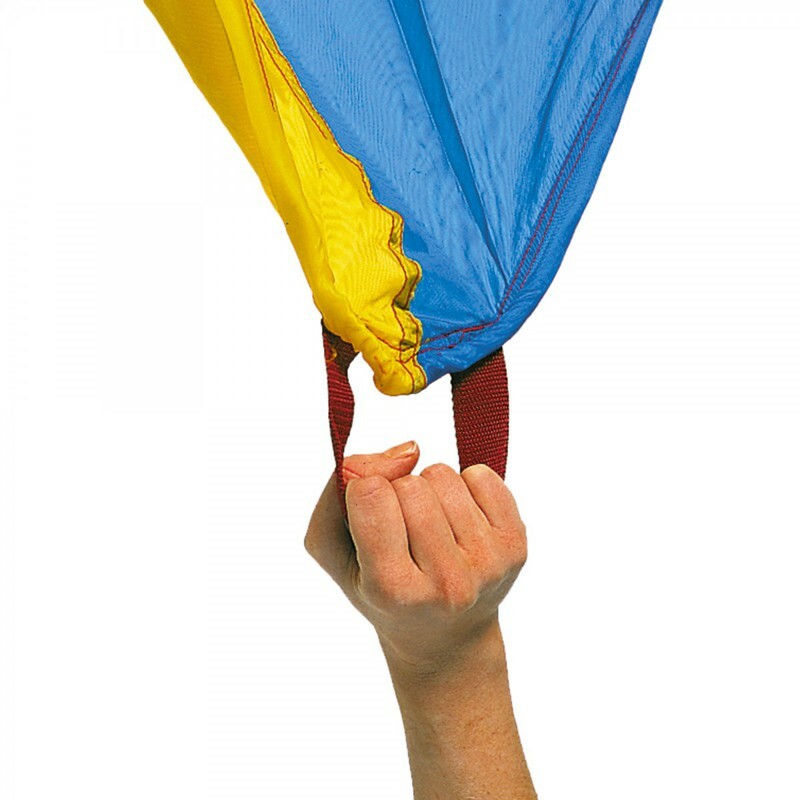 These parachutes have a very strong 10mm thick rope sewn into the outer edge, allowing many people to play at the same time. The 6' parachute has 8 handles, the 12' parachute has 8 handles, and the 20' parachute has 12 handles. 15" x 8" x 7"